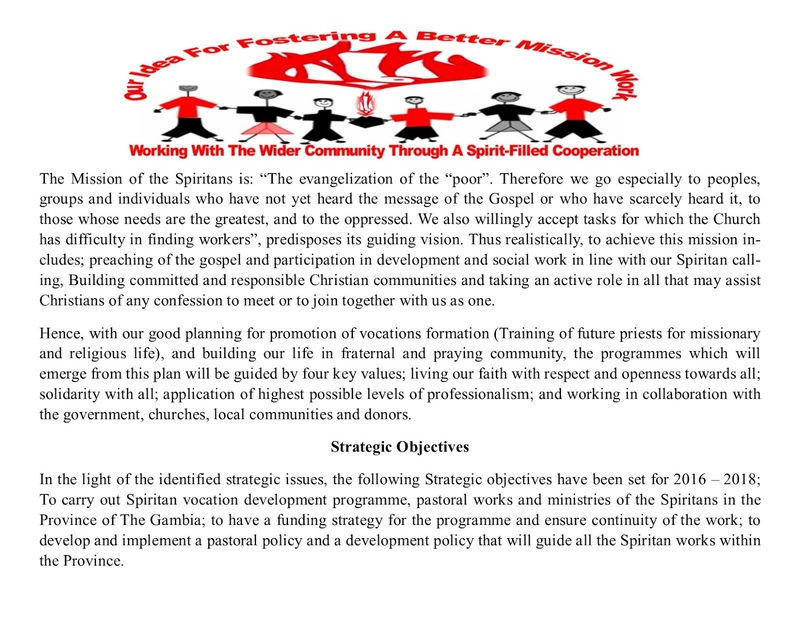 This strategic development plan aims at implementing the following current good practices in furtherance of our social and evangelical development agenda which has remained our traditional mission since our inception. 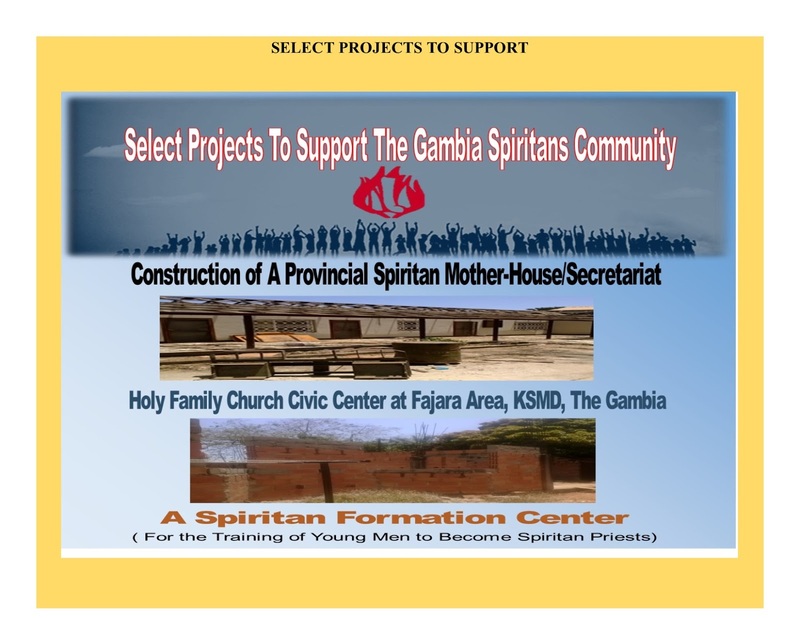 It carries with it a vision to support communities in which we work to identify and take action to address the identified needs, ‘ipso facto’, planning for the sustainability or continuity of our works. 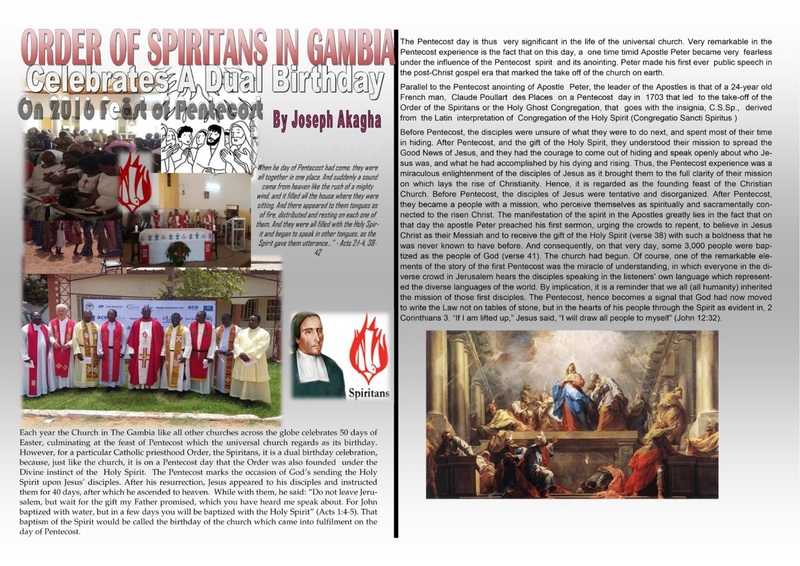 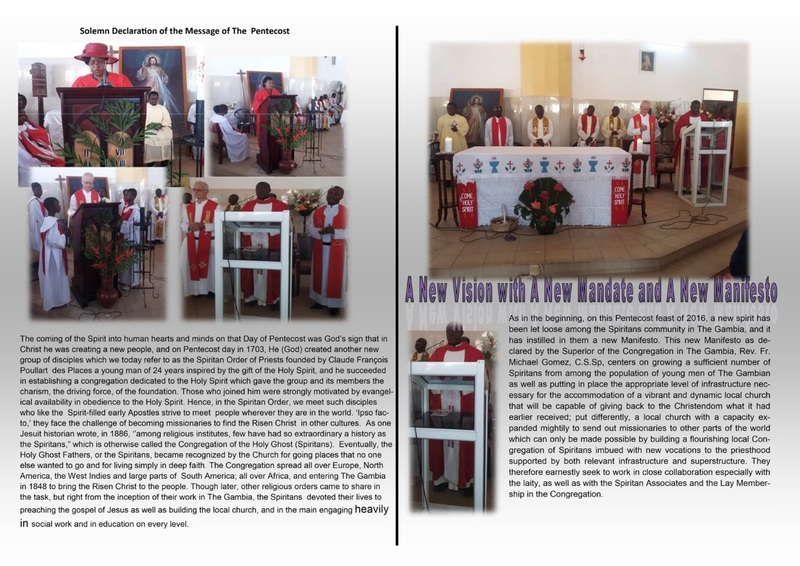 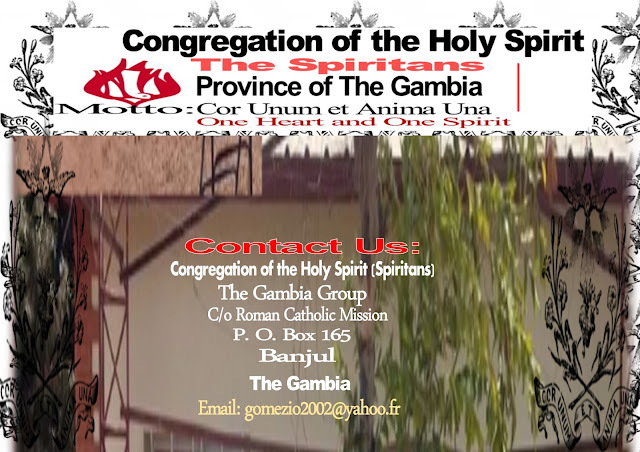 It embodies the strategy of a ‘Teamwork Approach’ including partnership, relationship and collegiality which is our common practice.We wish to reach a massive audience beyond our own congregations or communities to help us harness support for the pursuit of a more vibrant Spiritan mission in the Province of The Gambia, as well as accommodating the imperatives of the growing local church family. 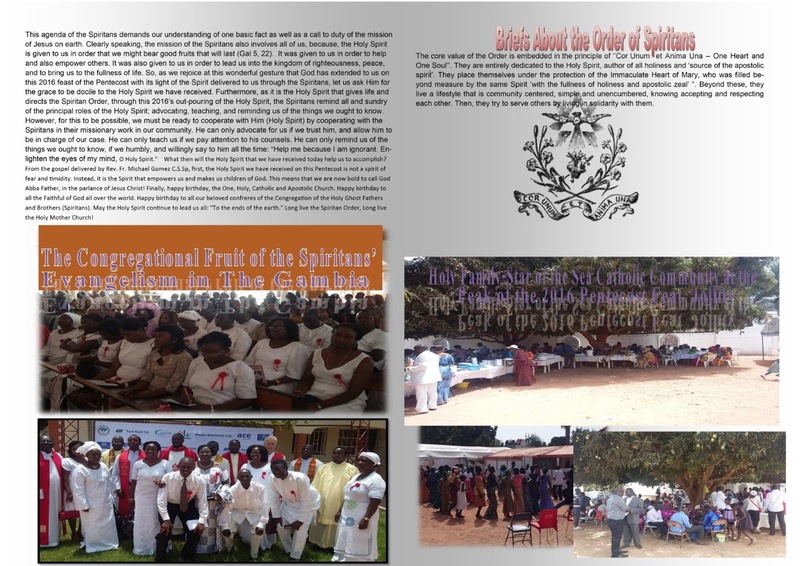 This mission forms the basis of our traditional charism which is the driving force that dominates the Spiritans.